They speak typical Garhwali and the living also are like hills. In the customs of the mountain, such customs have settled that it is not easy for anybody to imagine that it is a Sikh or Muslim. After entering the village, the second house was of Razia Begum, the head of the village. Before his darshan was greeted, his father Mohammed Saeed Ahmed introduced us and then said (as if he was waiting for someone to tell him about his problem). He said, "I am 74 years old, this path is such that whatever falls or falls directly into the river Gadere (rainy river), you have seen, do not do anybody's blood ..."
They said, "My childhood is here only (in anger) giving speech, no digital village has remained." A girl died here two years ago, she has not died yet, I will go to Delhi and I will go to Delhi. I will show you how much development has happened. My girl is the chief, I can not say much. " Razia Begum was elected the chief of the village five years ago as an Independent candidate. Razia Begum has two sons and both of them went to Delhi to work a number of years ago. This is the story of almost every family in the village. The locks are hanging on some houses (whose whole family has migrated from the village). 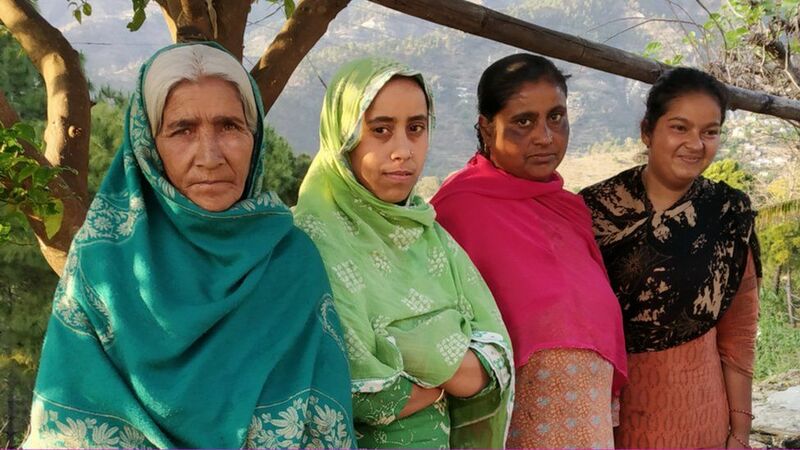 Razia says, "There is no employment, sometimes around 350 Muslim families lived in this village, but now 250 families will be living in their homes." There is also anger among the villagers, including the principal, not getting the benefits of many government schemes including Ujjwal Scheme. 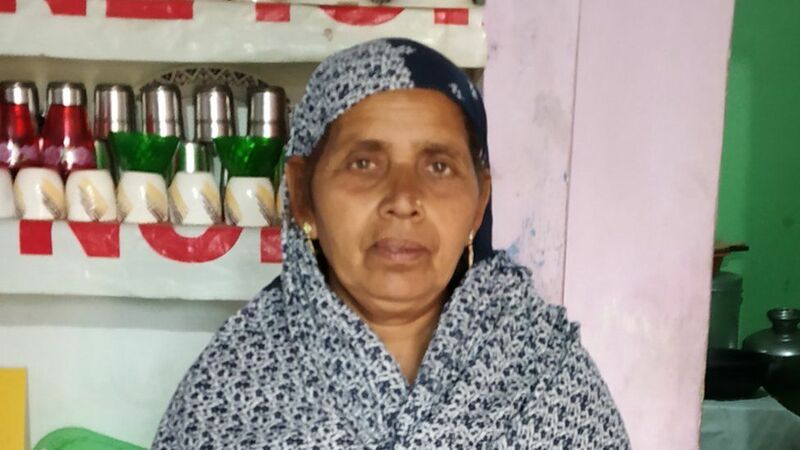 Razia says, "In Ujjwala, the filling of the forms of 45 people, but only four connections are not free, the receipt of Rs 1617 has been received. Now it is the fact that those who did not get the cylinders got me every second and fourth day. - The voice is heard and says - now you too have become Modi. " Prime Minister Modi often mentions the success of Ujjwala Scheme in his speeches and claims that more than one crore households in the country have benefitted from this scheme. The toilets are well in the village, but the people complain that the government promised to give 12 thousand rupees, they did not get anybody except the one and the other. Abdul Rahim works as tailoring and his house was broken last year and now he is passing through a small room. Abdul says, "I will not lie, I have got two thousand rupees of the Kisan Samman Nidhi (they show the messages coming from the bank on March 11 in the mobile), wheat-rice (food security scheme) is also getting, but toilets The money is not found till now. It is the condition of the house that you are seeing. " Batala Begum, Zabunnisa Begum is also the same pain. There is a mosque built in the year 1836 in the village, but it is also in delicate condition. Principal Razia Begum says, "I have come to know that the government has given a grant to build a temple in many adjoining villages including Dhargoon. The Government has given a grant to the mosque for the repair of the outskirts of the mosque (for the grant of grant for the cemetery). We could also help but there was no help. " No one in the village speaks openly, but indicates gestures that discrimination is done with their village in implementing government schemes. Abdurrahim says, "Last time BJP had voted that Modi would do something but nothing happened." Uttarakhand elections will be held on April 11 for the fifth Lok Sabha seat. If you leave the state of resentment with the government then Muslims of Rama village do not have any problem-complain with their Hindu neighbors. Several women, including Saida Begum, Saira Begum, say in a tone, "There is complete brotherhood, we come to each other's house, tea, water, food and drink, we get married each other. There is a voice in sadness all together. " About 60 km from Rama village, Garhwali is the unique village of Sikhs. Haluni is about two kilometers away from the main road and it has been three years since the raw roads were built to connect the village but it has not been confirmed yet. There is a gurdwara in Haluni and more than 90 percent of the Sikh religion is going to be followed. In this village, nearly 60 families have been killed, there are 85 families in the village. However, these people, who are called Sikh Nages, do not wear turban nor do they follow the five types of Sikhs- Kangha, Kadha, Bhaqa, Saber and Kesha completely. 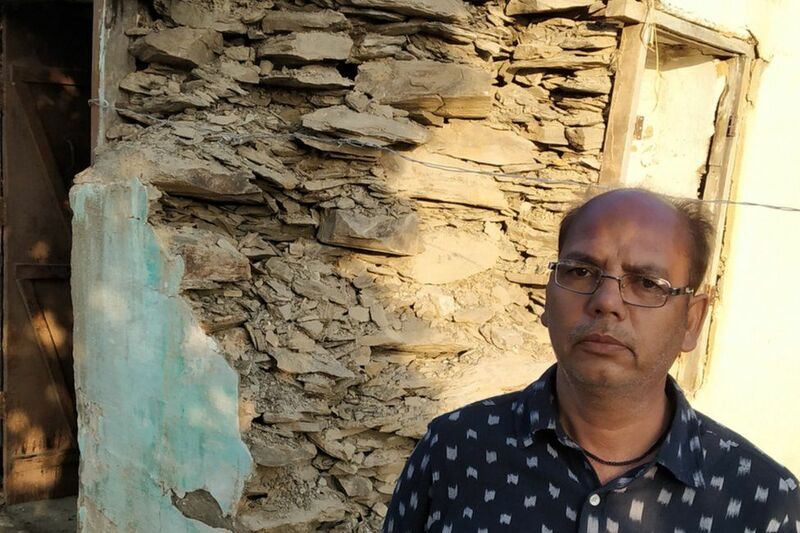 Jagdish Singh Negi, retired from the army, says, "We have come to know from the ancestors that Sardarji named Dayal Singh had settled this village, it must have been talking about eight-nine generations before, some families of Brahmins, Thakur and There are also Dalits. " Jagdish Singh Negi says, "From Punjab, we have requested Guru Granth Sahib, it is in Hindi, there are glands, and also service takers, they come to the gurdwara in weddings and bow down." 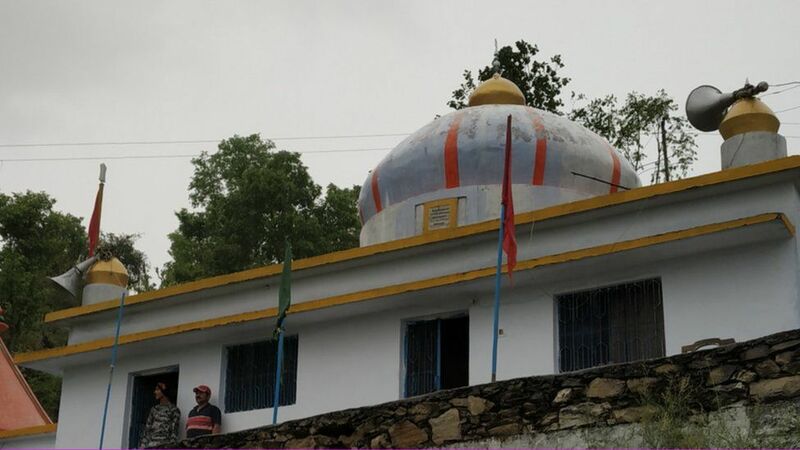 Negi Sikhs are proud to be related to their Sikh religion, but this community has never sought the minority status of themselves in front of the Uttarakhand government nor did they intend to join the Gurdwara Management Committee in Uttarakhand. Well, when the elections were announced, the Sikh negi community had even counted all the people in the matter of government schemes which were told by the Muslim leaders of Rama village. The village's chief MS Negi explains, "15-20 people had filled the form of Ujjwala scheme, but no one got it. Now the officials are saying that the work will be done only after the election is over." Almost every family uses the stove in the village and those who have cylinders also use it only on the arrival of special people. Manohar Negi Sikh, who comes in the BPL category, says, "My wife has a job card in MNREGA, she gets work in four to five months, under the National Food Security, we get wheat and rice. But so far I have not got the money from the government. " 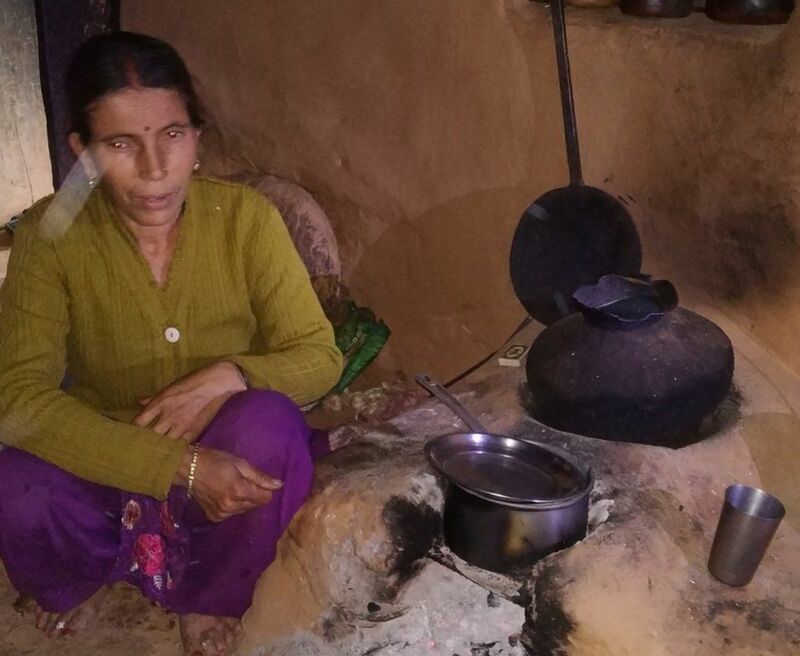 Manohar's wife Babita is blowing a stove in a four feet high house. Ujjwal's scheme is also known to them, but the cylinder was not found. 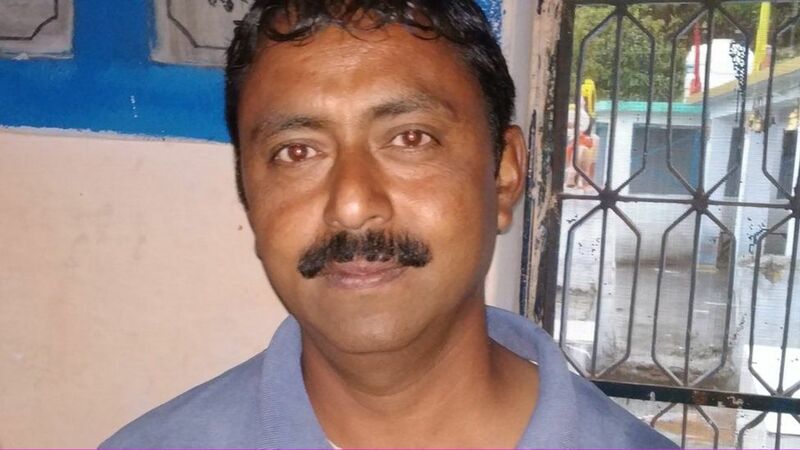 He says in Garhwali, "You are seeing now, the eyes are breaking in the stove". Babita's daughter Ritu passed the 12th examination two years ago. He wanted to regulate further studies, but there was no money for it. 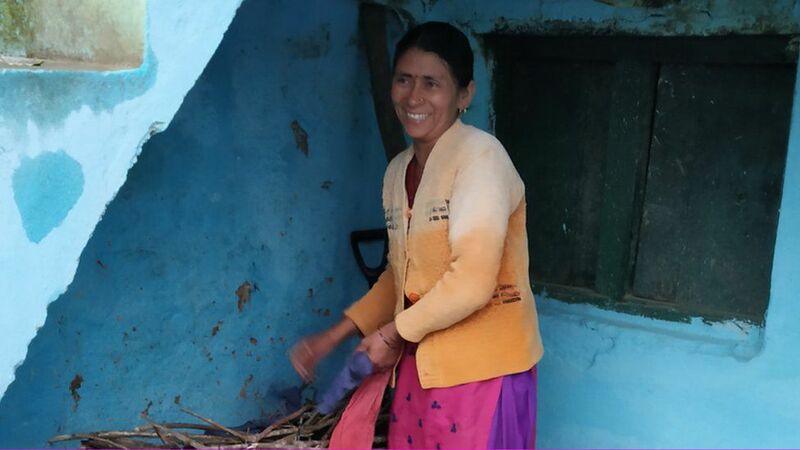 Ritu says, "I do not want to do it, I also want to do good studies, but our situation is not the same." From 23 rupees a month, I have studied up to 12th standard, I am now studying in private. "